Detailed information and reviews of US teachers, instructors and schools offering music instruction, classes and private lessons. Post your requirements and receive no obligation price estimates and quotes. 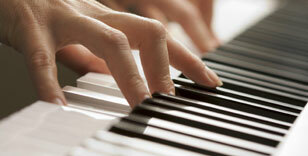 Piano lessons - I would like to have piano lessons because I am very intrested, thank you. Improve Clarinet skills and learn to play the Tenor Saxophone - I want a private instructor to help me enhance and improve my skills on the clarinet, and I would also like to learn to transition to the Tenor Saxophone.